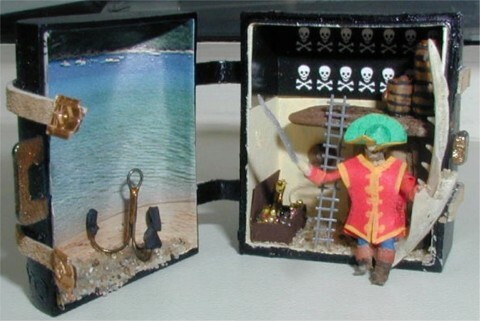 My global e-mailgroup (MSATMicroMiniatures) was running a competition for an outdoor scene and/or a scene in a container (June 2003). I choose to do a scene in a container. My dentist gave me some so-called toothsavers and I decided to do it in a toothsaver. I took the blue one and painted the outside black and added leather straps around it. At the ends I glued a piece from a Christmas ornament. The inside was painted yellow-ocre. I glued a nice picture in the lid. It was a picture of the sea. I used some driftwood and glued sand from the beach as flooring. A picturepostcard with sculls was used as wallhanging at the top floor. The first floor was made from driftwood as well as other items. I also found a jaw of a small fish and this one fitted perfectly at the side of the box! 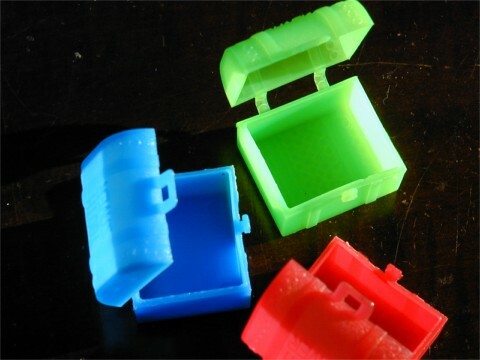 A treasure-chest was made of paper and filled with very tiny beads. The rumbarrels were made from painted pricetags. 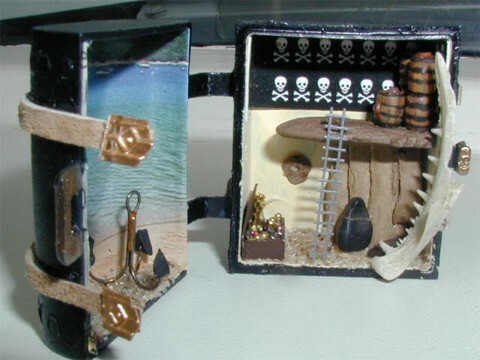 And then I was also in need of a pirate to defend the treasure! 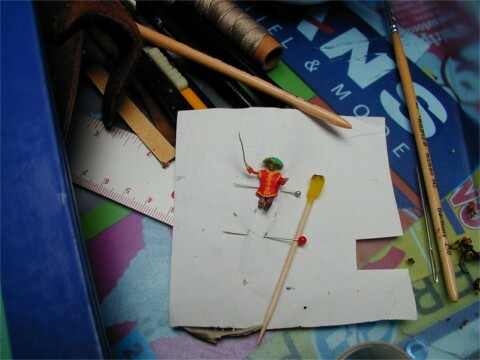 So, use a ruler and stay to the proper size of a 1:144 scale person! Acrylic paints and a small brush. 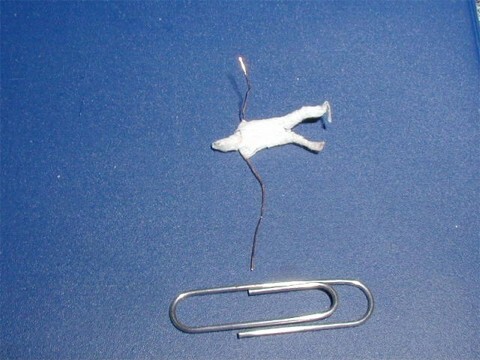 Bend a U-shape in a piece of wire. This is going to be the legs and feet. Take another piece of wire for the arms. Measure it from left hand to right hand and keep it to one piece. Take a third piece of wire, not too long. Bend this wire in the middle of the U-shape. Go upward and form a small circle at the end. This circle is going to be the head. Twist the wire and go downwards again. Make sure you have a neck and twist the armwire once around it. Go downwards to the legs and upwards again twisting around the body. Do this in a loose way just to shape the chest. When you reach the neck again, you can cut off the wire. 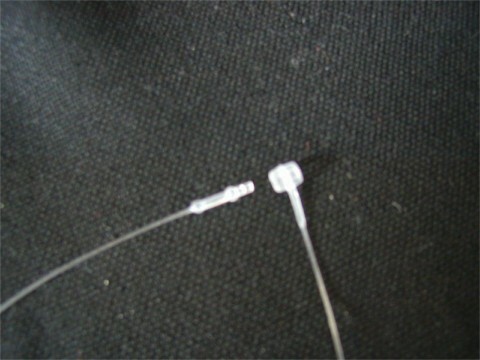 Cut tiny strips from the Leukopor and start winding them around the thin wire. Start at the feet and work upward. As soon as you have a body, you can stop winding the Leukopor. Now it is time to dress your tiny doll! 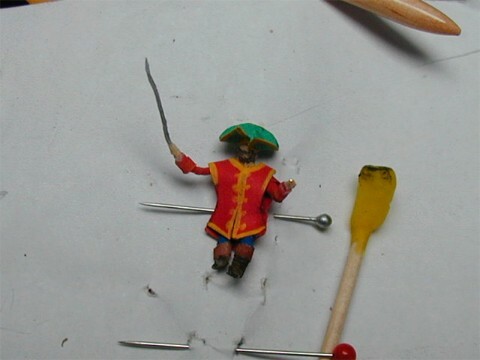 You can paint the Leukopor, or add clothed made of paper, tissue, cloth or lace. I've painted the Leukopor of my pirates head, sword, hands, arms and legs. And I made clothes of paper for his hat, cuffs, coat and boots.